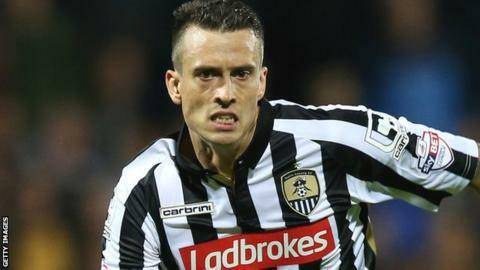 Notts County winger Julian Jenner has accepted a charge of violent conduct and has been banned for three matches by the Football Association. The suspension relates to an incident near the end of the Magpies' 2-0 FA Cup first-round defeat by Salford City. Jenner will miss homes games against Northampton and Barnet, along with the trip to Cambridge on 28 November. The 31-year-old, who joined Notts in the summer, has made 15 appearances for the club this season.